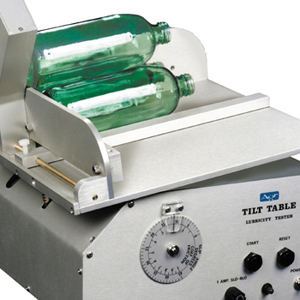 The Hot End Coating Measurement System (HECMS) is an automated, bench-top test instrument that is designed to aid glass container manufacturers in monitoring and managing the amount of tin hot end coatings applied to bottles during the manufacturing process. 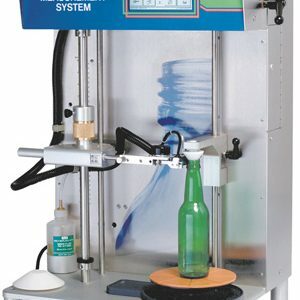 The HECMS utilizes reflective light technology to accurately measure the amount of coatings applied to the body of a bottle or container. 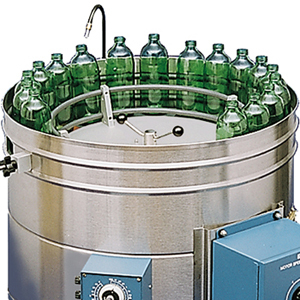 The design of the HECMS is optimized for measuring coating thickness up to 100 CTU. 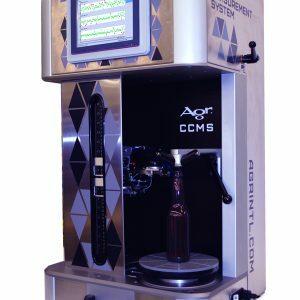 This device features an automatic index mode that can be preprogrammed to measure and document multiple locations over the sidewall, making it possible for operators to identify variation in coating thickness and evaluate the effectiveness of coating application. 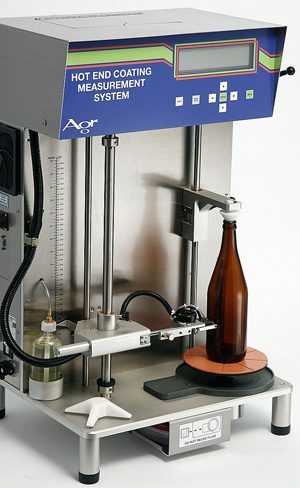 This device is an essential tool for coating hood setup, diagnosing production problems and managing the application of costly coating materials.